At last! I have added all the missing names to the collection at Findagrave for Tararu Cemetery. If you are not aware of this site it is a free and excellent way to add a memorial for your ancestors. You can add background information, headstone photographs and portraits. You can lay flowers with captions for your family member/s. You can request photographs of graves, which will be taken by a team of volunteers. If the grave entry has been made by someone else, you can get permission to manage that entry. Ancestry.au also utilises the databases in its searches. BELOW: You can search names or browse all entries. This is Charles Ludwig's. A bonus of this site, is that it is a way of connecting family researchers, allowing you to see who is researching the person buried or remembered at a particular cemetery. If you leave flowers for an entry and add a caption, you may find some new relatives! How did I enter the names? I added names based on the old NZSG transcription available via Ancestry.au, while checking names alongside at the TCDC online Cemetery search site. To add death dates, I searched the name at New Zealand BMD online. In many cases there were discrepancies in spelling of names, burial dates, and monumental inscriptions. I checked newspapers in many cases to confirm details. Still I know that there will be still variances, but it is a start! If any of the entries I have made, are for your family members...contact me and I can transfer the control of the entry to you to alter/correct as you desire. Check out the Tararu Cemetery site at Findagrave. 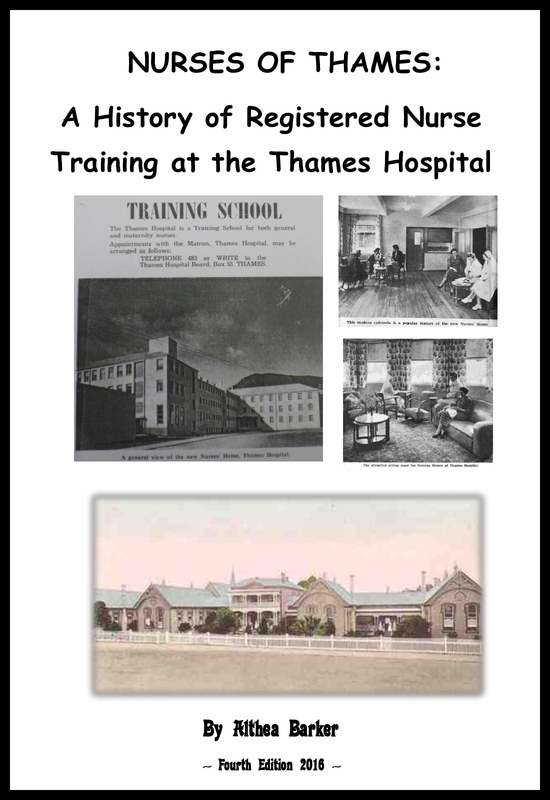 Version 4 of the booklet on Thames Hospital Nurses is now published and has lots of new information, names and photographs.